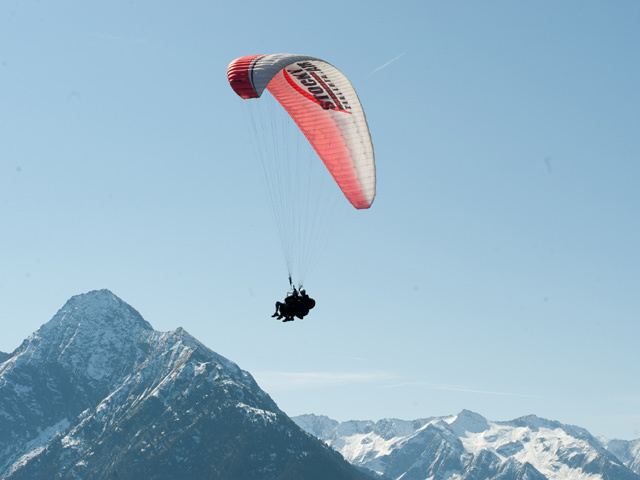 Relax and unwind in the heart of the Ziller Valley mountains. 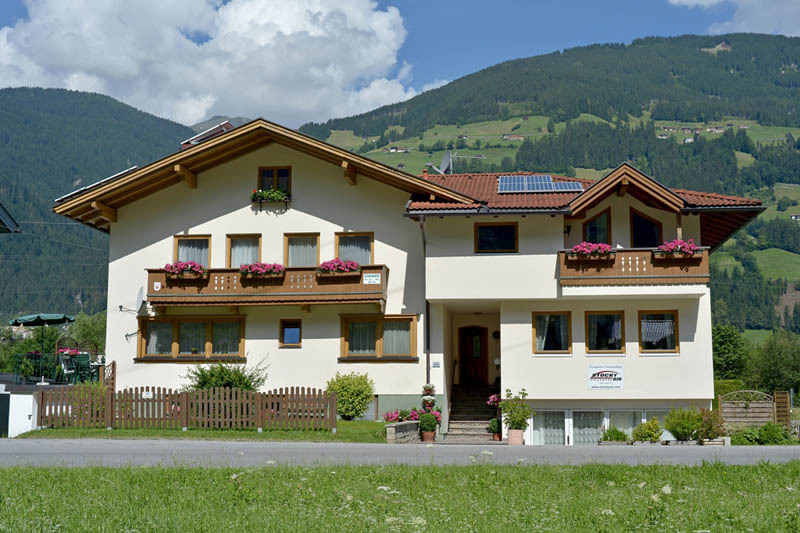 Our well-kept, friendly guesthouse has been awarded the Tyrolean classification of ‘recommended accommodation’ and offers you the ideal place to relax and unwind. 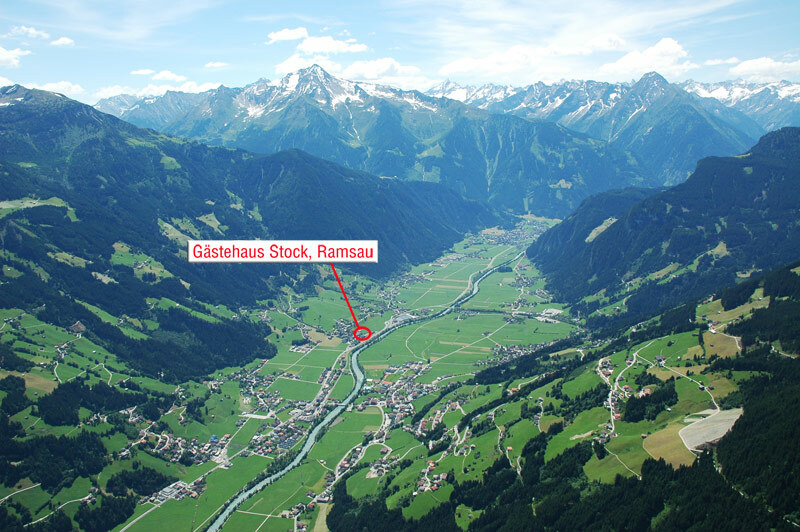 The guesthouse is situated just 10 minutes from the village of Ramsau in the holiday resort of Mayrhofen. Bus & train connec- tions (including ski buses) as well as 2 restaurants are very close by. Mayrhofen centre is only 3 km away. Free shuttle buses take you comfortably to the ski areas Horbergbahn, Penkenbahn, Ahornbahn as well as Ramsberglift. Our 4 double rooms each have a shower, WC, satellite TV, radio alarm and wifi. A breakfast buffet, use of the cosy sitting area on the first floor, a guest refrigerator, ski room, drying room and car parking in front of the house are also included. We welcome families and child discounts are available on request. Your hostess Marianne Stock hopes you enjoy a wonderful & relaxing stay! 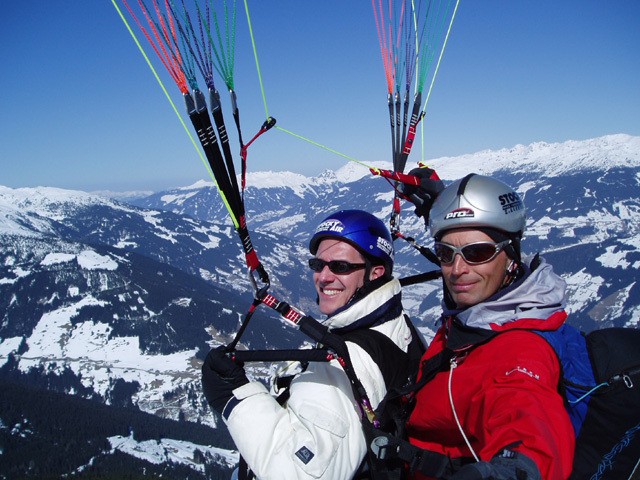 Our guests have the opportunity to book a paragliding flight with Stocky Air and to land directly in front of the guesthouse. 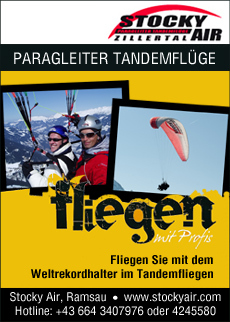 Packages including accommodation and tandem flights are available on request.